With nearly 100,000 total runners and spectators in 5 separate races, the Walt Disney World Marathon Weekend is one of the largest running events in the world. The Walt Disney World Marathon, Walt Disney World Half Marathon, Walt Disney World 10k, Walt Disney World 5k, and runDisney kids races and there is no question Marathon Weekend is a BIG deal. The excitement of the flagship runDisney event is unparalleled. However, Marathon Weekend can be overwhelming for first timers and veterans alike. Your experience starts at the Expo which is an endurance challenge in itself. 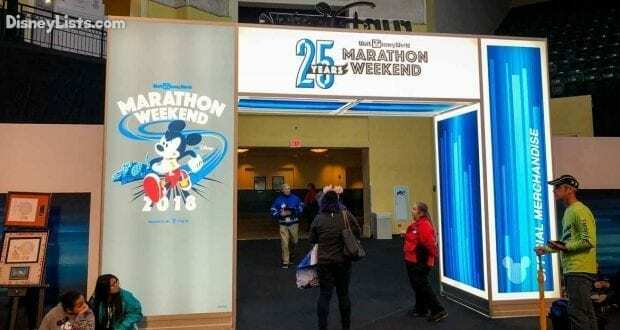 Here are 9 things you need to know to successfully navigate Disney’s Marathon Weekend Health and Fitness Expo! The Health and Fitness Expo is your first stop race weekend to pick up your race packet. The event features celebrity runner appearances, you’ll see and experience the latest in running and fitness equipment, and you’ll have the opportunity to attend seminars on training, racing, and nutrition. Finally, you’ll have the chance to purchase official runDisney merchandise and other sports-related products offered by exhibitors. All runners must attend to pick up their race bib, shirt(s) and gEAR bag. There will be 4 different venues at the ESPN Wide World of Sports Complex hosting the runDisney Health and Fitness Expo. Be sure to review the Event Guide for a map to the correct location(s) to pick up items. Those who have purchased Race Retreat are able to check in and shop early from 9:00 am – 10:00 am on Wednesday morning. For many people that early shopping is worth the price of the Race Retreat. No matter what you’ll want to arrive early, which leads us to our next point. If you plan on purchasing official runDisney race merchandise, you’ll want to arrive at the Expo as early as possible. Items sell out quickly. Seriously. In 2015, Dopey merchandise sold out in under 3 hours. Other race items go quickly as well. Many runners complain that non-runners buy up tons of items and sell them on eBay. While this is certainly true (we’ve seen it), the bigger problem is that Disney actually does not produce enough race items for the demand. It baffles us every year we see this. Disney has never shied away from making money, so it’s always a surprise that they don’t make more race gear. Granted they don’t want to get stuck with overstock, but with online shopping, they could certainly sell race items after the race if they wanted to. If you want to buy race shirts or other memorabilia, the best plan is to arrive at the expo as early as possible. Dopey runners should be there at opening on Wednesday morning. If you are running the marathon and arriving on Saturday, be prepared that there may not be the best selection for you since many other runners arrive earlier in the week. Many runners underestimate the time needed for the race expo. Include travel time, waiting to pick up your packet and commemorative items, time for shopping and time for any seminars you want to attend. In 2016 during RunDisney events, they started only allowing a certain number of people into the official Disney Merchandise store area. This made the shopping experience so much better. However, it did create a long queue outside of the store. For the Star Wars Dark Side Weekend in Aprils 2016, we waited 45 minutes just to get into the store and we arrived right at opening! You need to decide ahead of time if you want to bring your whole family with you. For some families, it’s great to see excitement about healthy living and running achievements. For others, it’s a crazy busy madhouse and not a fun place for kids (the Expo floor is PACKED). There are a lot of lines and a lot of waiting. Kids might enjoy time at the parks or at the resort pool. But if both parents are running, just be sure to bring something that will keep the kids occupied while you wait. Special transportation has been arranged for participants staying at Disney World Resorts. Event buses will be indicated by runDisney Transportation signs placed in the front of windows. Buses will run back and forth all day. Allow for 20-40 minutes of travel time each way. Please note, event buses are NOT the normal Disney buses. They are charter buses hired specially for this event and the pickup and drop off areas will be in different locations than normal bus stops for the parks. If you are unsure, ask. There are always lots of event staff members around to help. Be sure to check the event guide for official transportation hours for the Expo. Buses will continue running for 30 minutes after the end of the Expo to bring guests back to the resorts from the ESPN Wide World of Sports Complex. 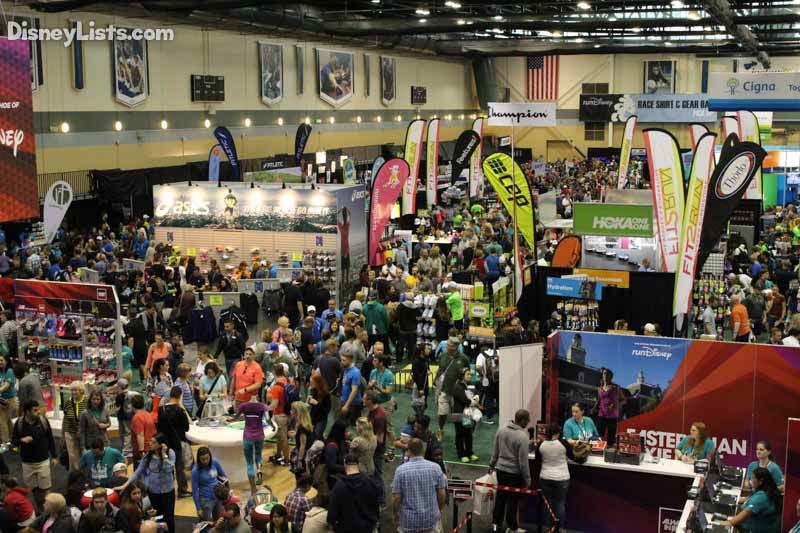 All runners must attend the Expo during regularly scheduled hours to pick up their race packet. Without the items in this packet you cannot race. Disney no longer allows others to pick up the packet for you. A valid ID and completed waiver is required. Adults will be allowed to pick up participant packets for runners under age 18. As a reminder, Packet Pick–Up will not be available on race morning. If you purchased items such as pins, Mickey Ears, necklaces, bundls or commemorative jackets during the race registration process, you’ll need to pick up these items on the main floor of the HP Field House during the Expo. You will need to show ID to pick up your items. Disney will not refund or mail any items that are not picked up. All runners participating in either the Goofy or Dopey Challenge must get their picture taking at the Expo with your race bibs. This photo will be used at the finish line of each race to verify that you are the person to whom the bib belongs to. Unfortunately, in the first year of the Dopey Challenge, people handed their bibs to other runners who then got the Dopey medals without completing the challenge. So now Disney verifies your bib against the picture that is taken. Disney staff and volunteers will direct challenge participants to the right location, but don’t miss this or you may have trouble getting your medal! As noted above, for the best selection of official runDisney merchandise you’ll want to get to the Expo early. In the past, there have been two Official runDisney stores: a smaller store at the HP Field House where you pick up your packet and a much larger store at the new Arena. Generally, the selection is the same between the two stores, but there are certain race items that will only be available at the larger store in the Arena. Feel free to use Disney gift cards or your charge to your room. Wednesday morning lines will likely be 30-60 minutes long for the store at the Arena. At the 2017 Wine & Dine race weekend, there was only one runDisney shopping location. The maps for the 2019 Expo have not been released yet. We will update this article as soon as we know where the stores will be located but expect a similar set up to last year. Tip: if you are wavering on a decision about purchasing a certain item, our suggestion is to go ahead and purchase the item. 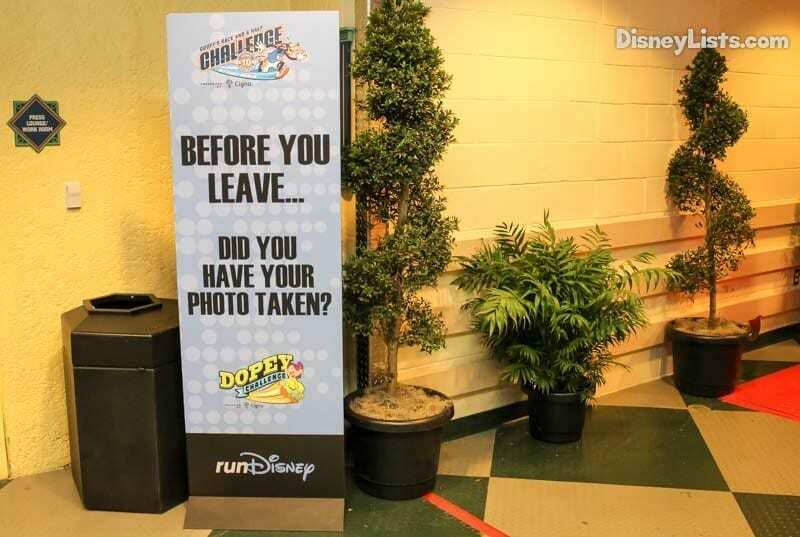 Many do not know it, but if you change your mind you can return any items at any Disney World merchandise location. So, if you buy a shirt and then realize you actually don’t want it, you can return it at your resort store. I’ve even returned merchandise weeks after the event. If you can swing the extra cost, it is better to buy it and return it, if you change your mind. If you wait until a later time to purchase it, it is likely that the item will not be there. There are also many exhibitors that sell running related items. Be sure to check with each exhibitor for their return policy before you make any purchase with them. Often, these stores will have Expo reduced prices. While this may be the perfect time to purchase that awesome new product, be careful if you have never trained with the item. The best rule of thumb is to never, ever do or use something new on race day. Family and friends will be able to track participants with live online tracking for the 10k, the half marathon, and the 10k. We will update this article with the link you need to sign up once it becomes available. You can also sign up for runner tracking at the Expo.